KJ’s social programs are built on the foundation of the Martu Leadership Program (MLP), a community education and development program. The MLP helps Martu adults to learn about the mainstream world and to gain confidence to engage effectively with mainstream agencies. This process builds aspiration to drive social change initiatives in areas as diverse as the criminal justice system, economic development, changes to government policy, governance and destructive social problems such as alcohol abuse and violence . 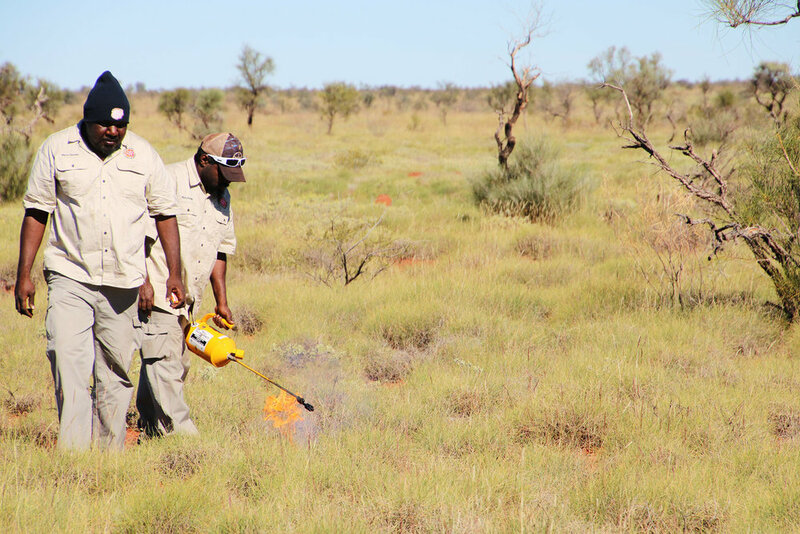 Martu and KJ staff provide cultural awareness programs to organisations who work with Martu people. The standard program covers history, language, society structures and the Martu world. Specialised programs are also delivered on request. Martu are working with agencies in the criminal justice system (CJS) to change the way it affects Martu individuals and families. This program has two broad objectives. The first is to help Martu to learn about the CJS. The second is to develop partnerships with the police, magistrate, lawyers and prisons so that they can work together to improve interactions and to reduce levels of crime and incarceration. The Martu Leadership Program (MLP) is a community education and development program for Martu adults from remote Western Desert communities. It focuses on the cross-cultural interface and developing the capacity of Martu to work effectively with the mainstream world and the capacity of the mainstream world to work effectively with Martu. Early childhood experience is critical to child development. The Women & Families Program seeks to ensure that Martu children can have a strong, healthy start to their lives. The program focuses on four key areas: early childhood education, child and maternal health, cultural identity and language and strong support for parents.